Are you longing for the simple life? This idyllic blue and white quilt by renown designer Edyta Sitar is just what you've been looking for! 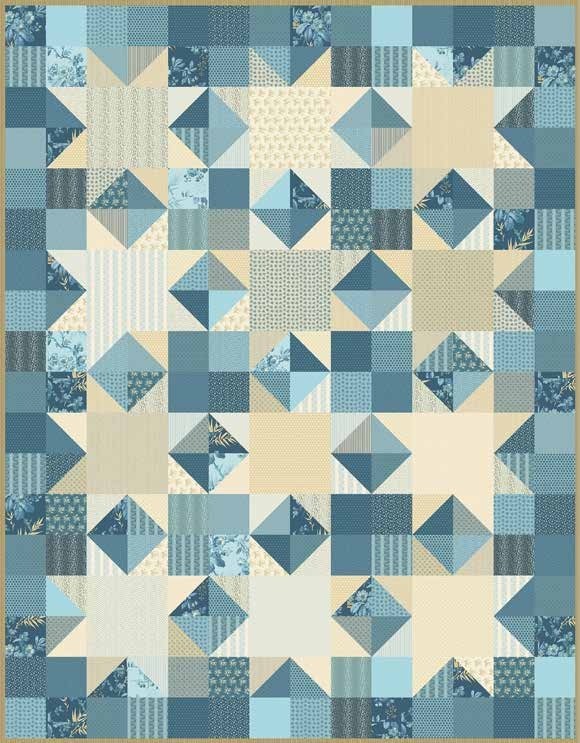 Appliqué quilt kit contains a pattern and Something Blue fabrics for the top and binding, including precut fat quarters, by Edyta Sitar for Andover Fabrics. Backing sold separately, 4 3/4 yards needed. We suggest Something Blue - Bouquet Light Blue Yardage. We recommend using Roxanne Glue-Baste-It, the Cutterpillar Glow Box, Heat 'n Bond Lite, and the Teflon Pressing Sheet with this project for best results.